We’ve been using Visual Latin in our homeschool – which we love by the way. 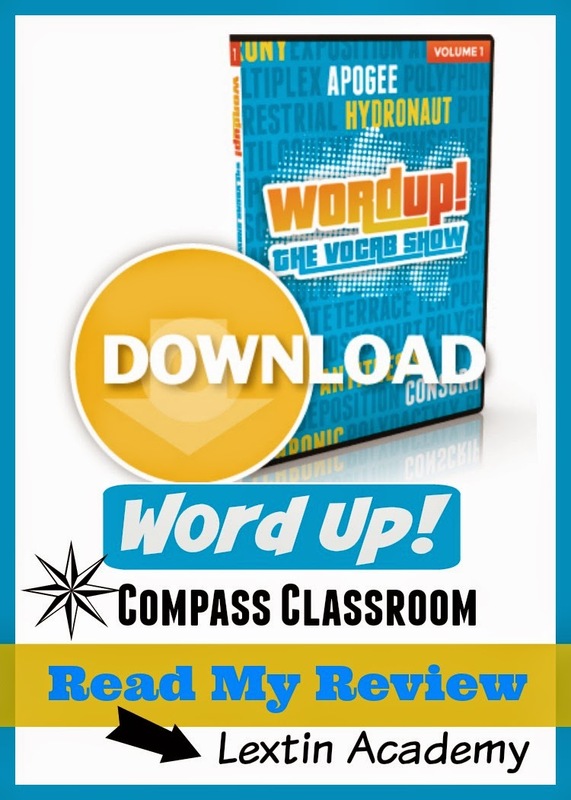 Then we were given the chance to review a new program from Compass Classroom called Word Up! The Vocab Show. Compass Classroom is a film company that produces educational materials in a visual format. They have products for history, Latin, economics, poetry, as well as other subjects. Their newest project is a vocabulary show that teaches words from their Greek and Latin roots. Word Up! 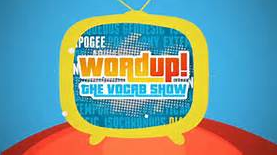 is a vocabulary show hosted by Dwane Thomas (who also hosts Visual Latin). In this program he stars in the role of Greek guy, Latin guy, and game show host (with different outfits of course). He introduces one Latin root word and then introduces multiple words that are derived from that root. There are pictures in the background to illustrate each word. Then he switches into his role as the Greek guy and introduces the Greek root word (that has the same definition) as well as words that use the Greek root. There are 10 total episodes with each episode being about 12-15 minutes in length. Each episode contains 1 Greek root word and 1 Latin root word – each meaning roughly the same. Then there are multiple words derived from those root words that are introduced and defined. Word Up! was created for kids ages 10 and older. The program also contains links to Quizlet to practice the words and definitions for further study. None of my kids are quite 10. In fact, my oldest is about to turn 9. However, we were still excited to try this program. We watched the videos together during lunch or dinner. I had a captive audience around the table and I got to enjoy the videos as well. We watched the videos many times each so that we could remember more and more vocabulary words after each time. I would try to sprinkle the words throughout the day and point them out when we saw them in our school work or one of our read alouds. It’s educational and also enjoyable. Actually it’s often downright hilarious in a corny sort of way. Some of the jokes were over the heads of my kids, but I definitely got them. They didn’t always know why I was chuckling as they watched the show. While some of my kids are below the target age for this program, they still enjoyed watching it. My 3-year-old would ask every day if they were watching that “Thomas show.” She remembered that the host’s name is Dwane Thomas so she now calls the show by his last name. 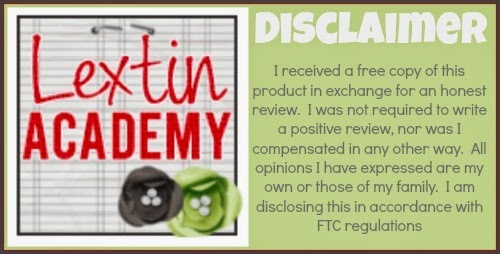 My kids began to apply what they learned through this program during our school time. They’ve busted out some big words as we’ve studied together. We’ve even encountered some of the vocabulary words during our school studies or reading time. Each time my kids scream out, I know that word! And yes, they definitely do! I learned etymology when I was in school in late elementary. I’ve always wanted to introduce my kids to the study of Greek and Latin root words but have not yet had time to fit it into our schedule. Using Word Up! made our vocabulary study fun and effortless. It was a time of learning for the whole family as we watched together. Love this program – just as we loved the Latin program! It is hilarious for both kids and parents and it is packed with information about Greek and Latin roots. We learned so much from watching the program. I’m just waiting to see what Compass Classroom produces next. I’m sure I’ll have to buy it for our homeschool. The DVD can be purchased for $9.99 or downloaded for the same price. Sounds like a fun program! All of mine are too young for this right now, but it looks like a wonderful company. I love the idea and format. This sounds like a great way to learn more vocabulary for the kids. I think it's nice that they give them a picture to go with the word so they can make a connection and even remember it visually.